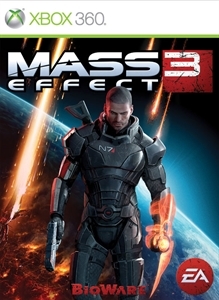 Mass Effect 3 follows Commander Shepard and his/her crew as they prepare to seek help for the impending showdown against the Reaper invasion – something that has been in the works ever since the original Mass Effect game. It was difficult enough to defeat Sovereign, one of the first Reapers to return to the current Galaxy, but now there are many Reapers – everywhere – and they seek to once again restart their cycle of death to make room for life. Commander Shepard has no choice but to seek out aid from every alien species he/she can to help Earth, as well as the entire Galaxy. 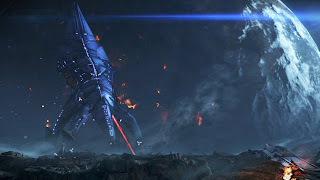 Bioware does a nice job of welcoming in new Mass Effect gamers to the end of this great trilogy, but they still understand that they need to satisfy their fans that have been there since the beginning of Shepard’s adventure. Promising in 2007 that their game would be a trilogy where choices made through each game would make an impact into the next, Bioware really had to be careful planning and developing each game and they absolutely deliver. While there seems to be less dialogue options and significantly more action this time around, choices you do make in this game still impact many elements in the game. 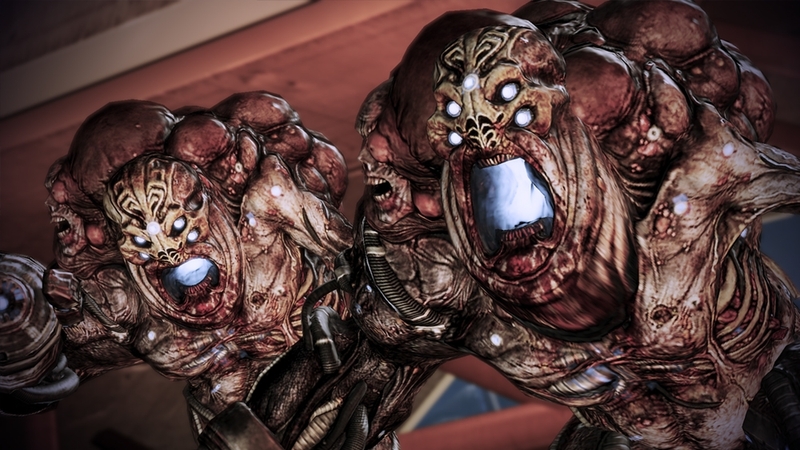 Did you lose crew members in Mass Effect 2? Importing your save ensures they won’t magically appear in this one, so you’ll get a nice continuation of the events that occurred in the last game. I actually want to go back into the previous games in order to make different choices and see how things differ each time I play. The credits rolled for me on Mass Effect 3 after about 40 hours was put into the game, with single-player taking up most of that time and a few hours spent on multiplayer – something that was met with curious thoughts from fans initially, but turned out to be a lot of fun. With DLC definitely on the way for the game and one pack already available, you can ensure that the $60 asking price for the game will be one that provides you with plenty of content. Combat in the game is top-notch. It’s less of a RPG, and more of a regular third-person shooter, but you still have all the powers and commands available that can be upgraded once you level up. Cover is improved as well, and allows you to easily move in and out of danger. Your allies’ powers can be hot-keyed just like before, and teammates can be ordered to move to certain positions when things get hairy in battle. Renegade and Paragon options are back again, including moments in the game where you can make a choice of actions with the left or right trigger. Having a high enough meter can also provide you with extra dialogue options, which can really change how a situation occurs. Multiplayer was a surprise in two different meanings: It's existence and the fact that it is really fun. You are able to choose a class based off of the standard campaign classes like Adept, Sentinel, and Soldier, and then choose a character in the class to level up and play with. 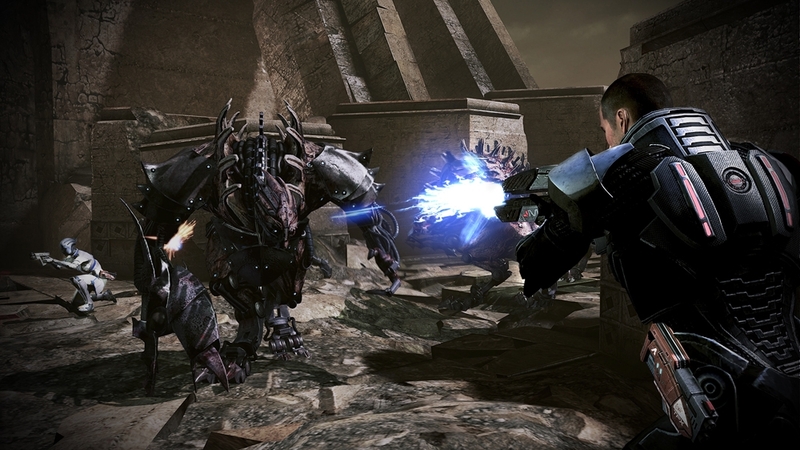 Gameplay is similar to a horde or firefight-type mode, with certain objectives popping up in the 10-wave mode called 'Galaxy at War'. You can specify enemies and levels, and also change the difficulty with Gold being the hardest. While experience is earned in this mode, credits are too – allowing you to buy packs that come with guns, attachments, and new characters to play as. You can also use actual money on PS3 and Microsoft Points on 360 if you wanted. Another cool thing about multiplayer is that you can increase your Galactic readiness for single-player by earning experience and credits. If you have characters that reach level 20, you can even add them to your assets for single-player, giving you an even better chance to have a nice readiness level. An Online pass is required to play multiplayer, so make sure you buy new if you can. It's definitely worth it to try out Galaxy at War. Kinect owners will be happy to know that Mass Effect 3 supports use of the peripheral to a great degree. Dialogue options can be spoken with your voice, as well as giving commands to your team members, but that's not all. Weapons and abilities can be changed with your voice too, and you can even say 'Quick Save' and the game will recognize your voice and save for you. 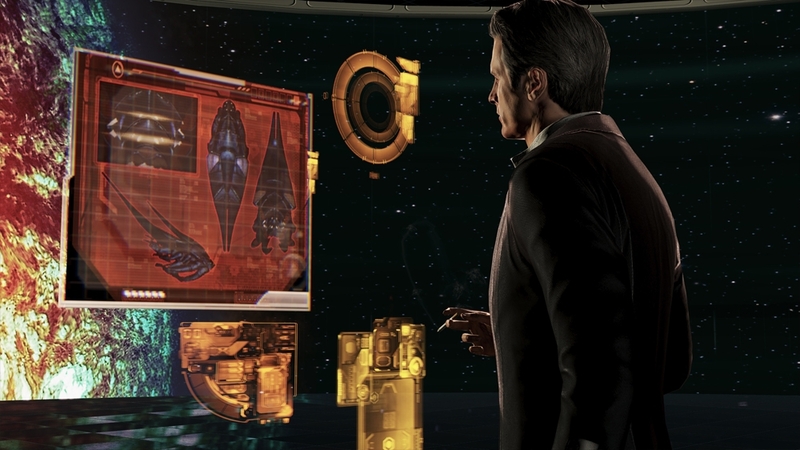 While there seems to be less emphasis on exploration and side-quests, you’ll still explore many areas of the galaxy. When navigating the map, scanning areas for resources and people can help your Galactic rating, the meter and percentages that shows how prepared you are for the Reapers, but you’ll have to be careful since Reapers can be alerted to your location when you scan. Bioware doesn’t forget about their fans – despite all the recent ending protests. The fact that people are protesting and stating their reasons is because they care – hours upon hours have been invested in the amazing universe that is Mass Effect. There are few games that can get this sort of reaction out of people. 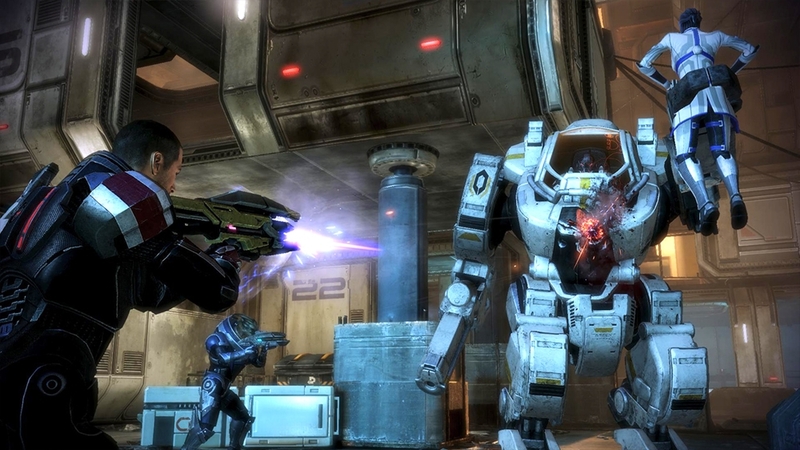 Mass Effect 3 has what it takes to be game of the year, just like Mass Effect 2 did. If you’ve never played before, now is the perfect time so you can see what all the fuss is about with Shepard and company. "Mass Effect 3 plunges you into an all-out galactic war to take Earth back from a nearly unstoppable foe – and how you fight that war is entirely up to you. Groundbreaking interactive storytelling drives the heart-pounding action in which each decision you make could have devastating and deadly consequences. You are Commander Shepard, the only one who can save Earth from annihilation. But you are not alone. 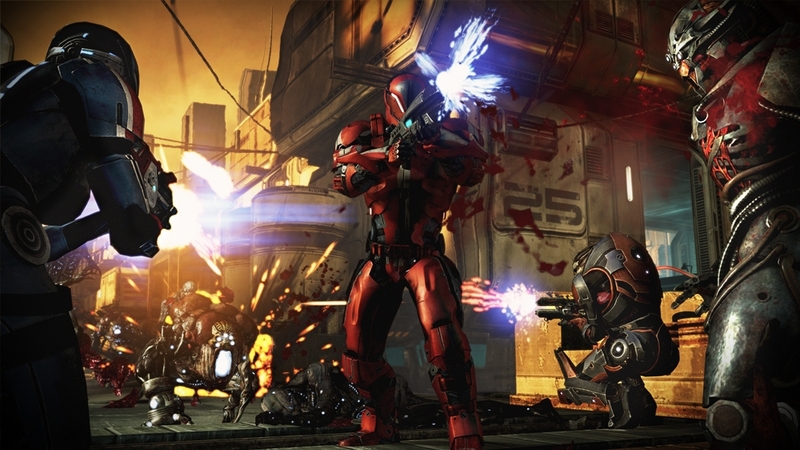 At your side is a team of elite, battle-hardened soldiers ready for your command. Flank enemies with your squad or take them down lone wolf. Use cover or go in guns blazing. Unleash tactical assaults from a distance or go toe-to-toe with enemies using devastating melee assaults and the deadly omniblade. On March 6th, 2012 the war for Earth begins."